It’s a Friday evening, you’re feeling mellow and you decide to treat yourself to a fancy meal. You walk in to South Gate restaurant and bar at Central Park South in New York City to sample the chef’s signature lobster and a relaxing glass of white. If you’re like me — a wine appreciator, but no connoisseur — this is the point when you look expectantly at your waiter to recommend the perfect wine. But instead of handing you the wine list, he whips out the newest solution to educating diners in the art and science of wine: an iPad. The custom-built, interactive gadget has arrived in restaurants all over the world, from London to Sydney. A new colorful, stylized app called “SmartCellar,” developed by Incentient, a Long Island–based company, allows users to peruse the restaurant’s entire wine inventory (currently over 650 bottles at South Gate). Customers can look for varietals, vineyards and vintners; learn about the wine-making process; and sort by price. Some restaurants also have ratings by wine experts such as Robert M. Parker Jr. to help you make an informed decision about what wine you want for the evening. 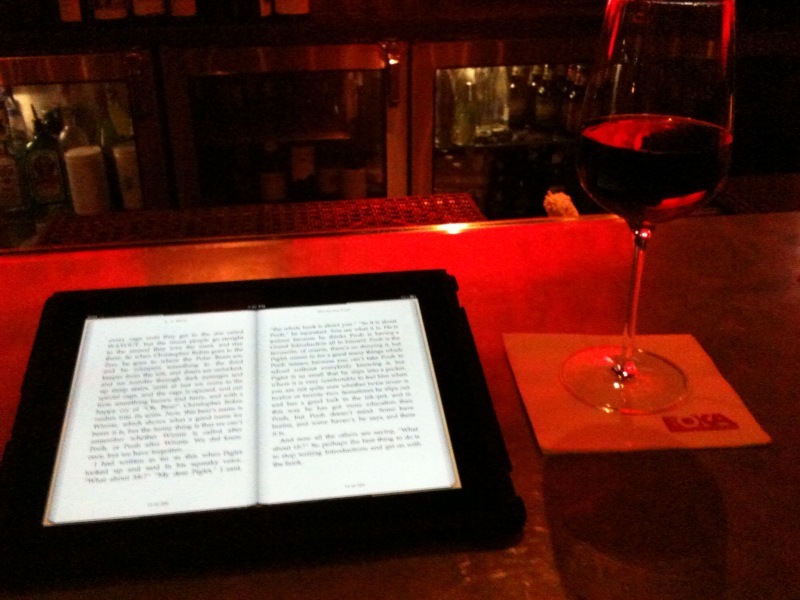 In restaurants like the Atlanta steakhouse Bones, for example, wine sales have increased by 11 percent per customer, two weeks after introducing the iPad menu. Forty new restaurants have ordered their SmartCellar app from Incentient in just the last few months, possibly endangering the rare breed of the world’s master sommeliers.